Roadtrip to Vegas this weekend! My girlfriend and I are making a trip to Vegas this coming Friday morning (leaving around 5am to avoid LA traffic) and returning Sunday evening. We originally were looking to fly since cheap flights are easy to get there. However, I really just wanted to try driving there to see how that will go. 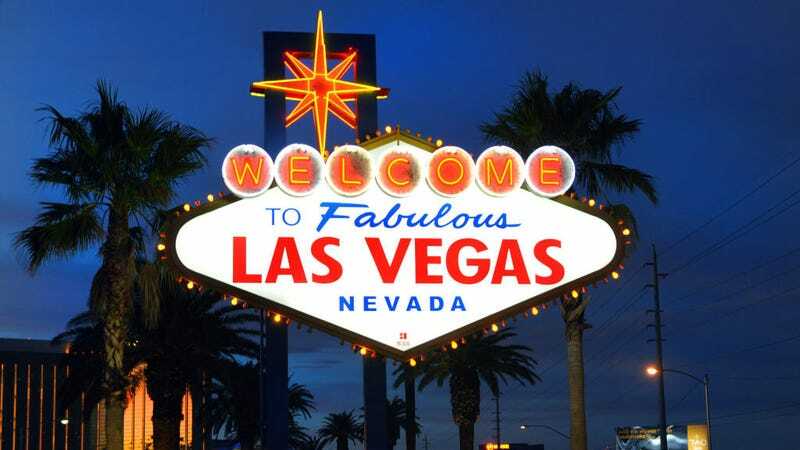 I have heard the LV-LA traffic can be horrendous some weekends but we shall see! Taking the STi so that we can have air conditioning rather than melt our faces off in the Miata. I just bought a nice window shade to help save the interior from turning into fire in the Vegas sun. Got it with same day delivery so I will check it out tonight. Seemed like a decent option. Also went and bought an FM transmitter to use for the trip since I was able to get that same day delivery there too (and had to meet the $35 minimum anyways). I know FM transmitters are generally garbage but I figured I would give it a shot since I am tired of just having CDs in the car. I want to eventually just upgrade the whole sound system but for now if I find the sound quality acceptable, it should be adequate for the short term. I think a wired FM connection (plugged into the antenna port) would probably be better but this is far easier. If I am pulling the head unit I might as well just replace it at that point. Hopefully this thing, my dash cam, and a phone plugged in to charge doesn’t blow the fuse. Never heard of the brand but it has Bluetooth 4.2 and 2 fast charging ports so it has everything I need. Anyways, pretty sure we are just spending time at the strip along with enjoying our airbnb in the Red Rock Canyon area (a bit out of the way, but that’s a good thing for relaxing). Hoping to visit the Hoover Dam on Sunday. My girlfriend still thinks the Grand Canyon isnt far but I think that would be a bit of a trek for a very short visit. Anything along the way I MUST see? We have time on Friday since we are going early. Just planned on cruising via i-15 but will be happy to look for detours.